For many of us, fall is the most beautiful season of the year. For generations of people, it was also the most meaningful time of the year as this is when the generous supplies of crops are harvested from the fields and gardens. 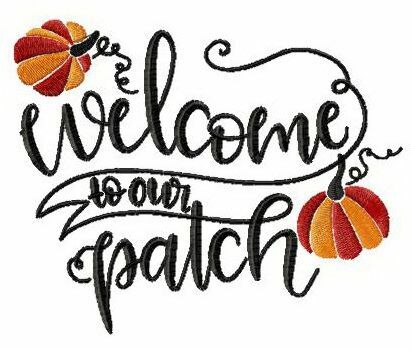 This original needlework celebrates the autumn traditions and features two pumpkins and a greeting, “Welcome to our patch!” The three-colored design comes as a mix of dark rust, pumpkin and black. The fancy black font looks very eye-catching. Use the needlework to decorate napkins, tablecloths, quilts, blankets, cushions and much more.